The BeyHive is buzzing!! Beyonce is pregnant with twins!! 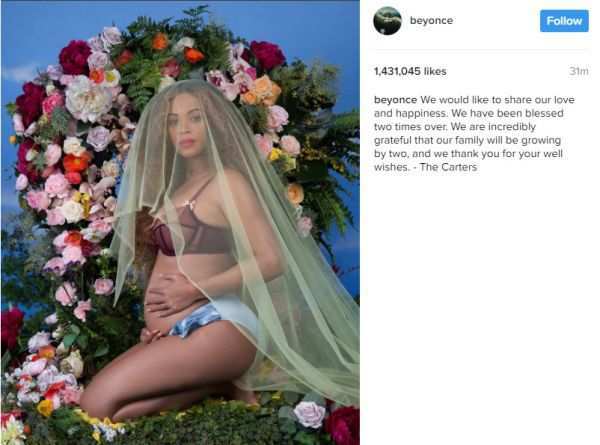 She announced it on Instagram (@Beyonce) today and within minutes there were over 1 million likes. Beyonce and Jay-Z have a daughter, Blue Ivy. This is certainly unexpected news. We had no idea twins ran in the family. We are wishing the Carters a safe and happy pregnancy!